Gilded Age New York was an era of great wealth. Yet if you were a poor kid living in a hardscrabble tenement district, you still didn’t have a decent place to play. Sure, you had the traffic-snarled streets, which smelled of manure and trash. Or you could hang out in your tenement’s backyard or on the roof, both dirty and dangerous. 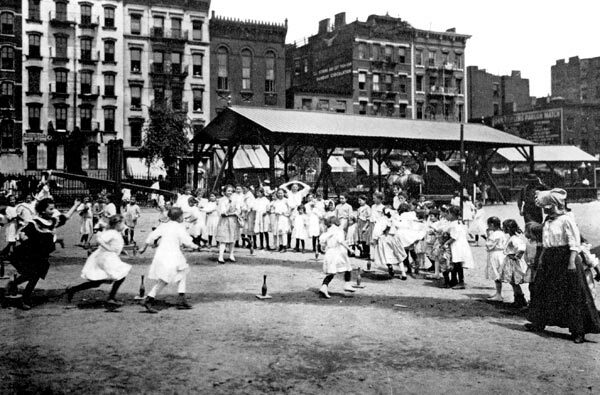 But it wasn’t until 1903 when the first city-run playground at the Lower East Side’s Seward Park—with gym equipment, a concert pavillon, and rows of rocking chairs for mothers with infants—opened to local children who desperately needed a place of their own. 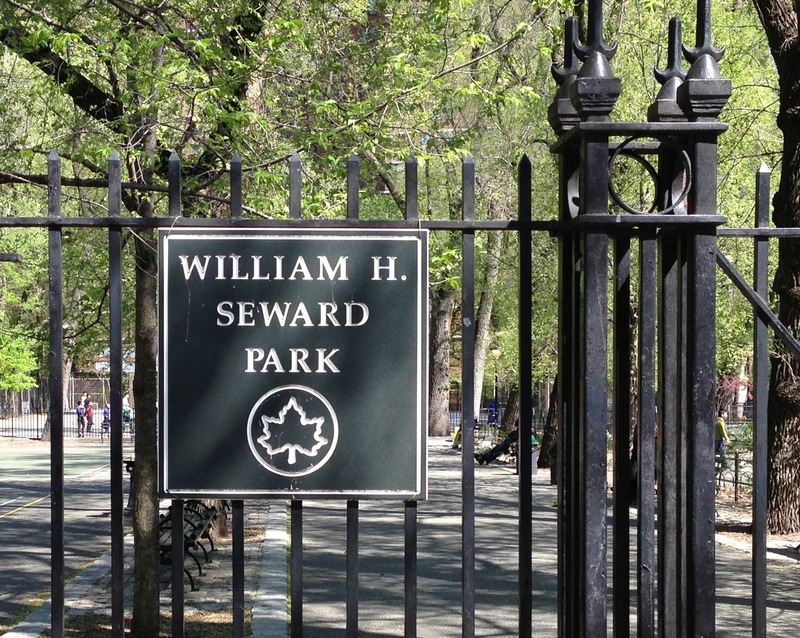 Seward Park playground was the end result of a “playground movement,” a moral push from the progressive reformers of the era, who, with political allies like Theodore Roosevelt and Mayor Seth Low, opened schools and settlement houses. 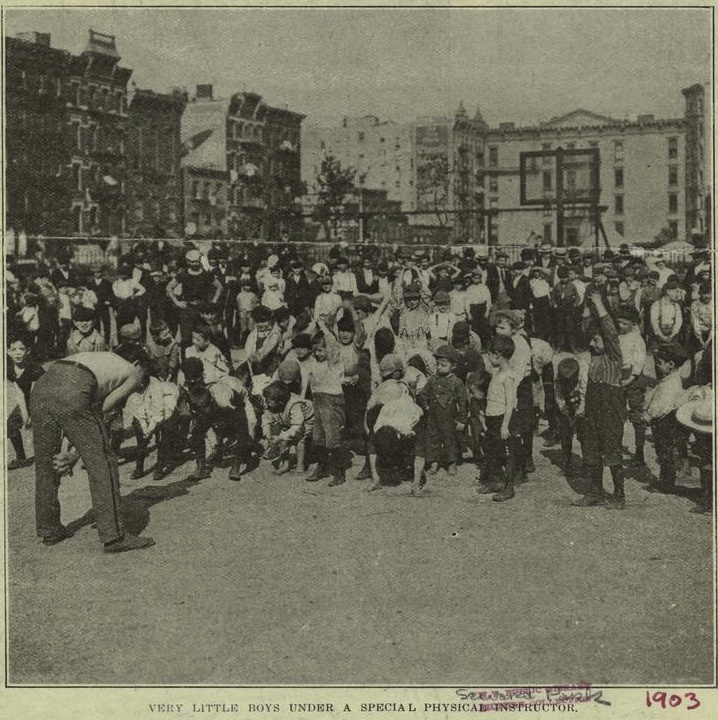 They formed groups, such as the Outdoor Recreation League and the New York Society for Playgrounds and Parks, to help poor kids gain access to fresh air, trees, and playtime that they believed could prevent “crime and juvenile delinquency,” according to one reformer. The adults accomplished their goal. 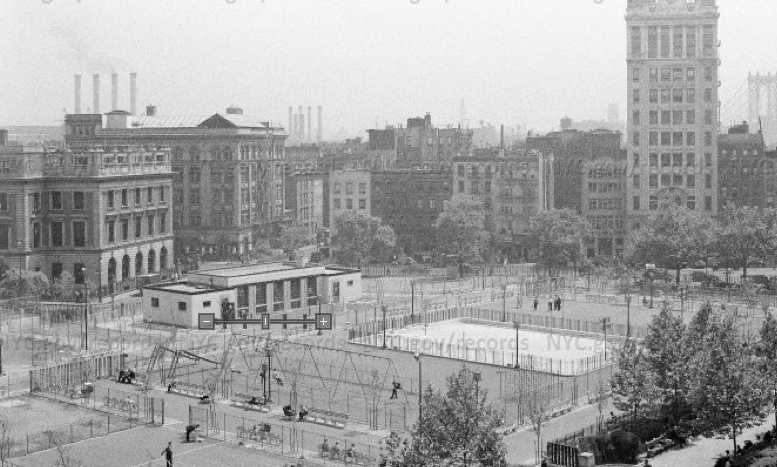 By 1905, nine playgrounds had opened, becoming an iconic part of the cityscape. But what did the kids around Seward Park think? From the beginning, the playground was a huge hit. In the driving rain, politicians pontificated. 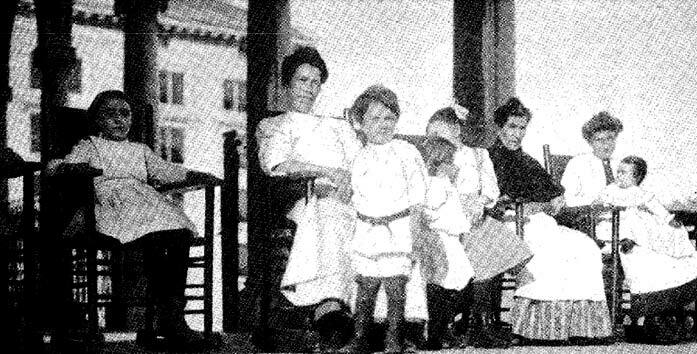 Jacob Riis, one of the reformers of the playground movement, took a turn at the podium. “As anxious as I was to get the children into this park, I am more anxious at this moment to get them out,” reported the New York Herald.